Age brings along with it a terrible artillery. As we grow old, our body undergoes physical changes and becomes more susceptible to ailments that can take a toll on our health. As we reach the age of fifty, dental problems become more pronounced, which is why we need to have a regular dental check-up from a reliable dentist in Epping or in your locality. In our previous article, we tackled two common dental problems people in their fifties usually experience: tooth decay and gum diseases. This time, let’s discuss other dental health issues that we may face as we grow old. 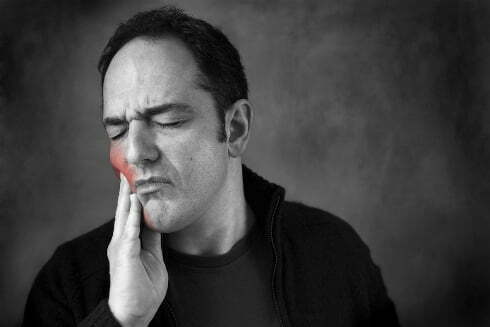 Temporomandibular joint disorder or TMD is a common orthodontic problem that affects the jaw, jaw points and the surrounding facial muscles, causing pains, headache, nerve inflammation and swelling on the face. Women aged 18 to 44 and patients with chronic inflammatory disorders have increased risks of experiencing this condition. Although the causes of TMD is still not clear, many dentists believe that the symptoms arise due to problems with the muscles of the jaw, joints, head or neck. Have trouble swallowing? Do you often experience dry, cracked lips or persistent bad breath? If you answered yes to all these, then you may have dry mouth. This oral health problem is a result from a decrease in the flow of saliva in the mouth. One of the common causes of this dental problem is the intake of medications like antidepressants and diuretics. It can also be a result of smoking and damage to the salivary glands. Metabolic changes that come with age may also cause dry mouth. To prevent the onset of this problem, avoid caffeine and alcohol. Also, drink an adequate amount of water to stimulate your saliva production. Most importantly, visit your dentist and ask for a prescription saliva substitute, a moisturising mouth gel, an artificial rinse or an over-the-counter drug to help ease dry mouth. Consulting a reliable dentist will help ensure you not only get healthy teeth and gums, but a healthy mouth. common orthodontic problems that we may experience. As we age, our teeth become twisted or displaced, resulting to crowding. This happens when the total size or number of teeth is larger than the size of the jawbone that holds them. To correct minor crowding, you need to wear braces; but, for severe to moderate crowding, you may be required to undergo treatments, such as tooth size reduction, palatal expansion or tooth extraction in Sydney for some cases. Apart from tooth decay and gum diseases, TMD, dry mouth and teeth crowding are among the most common dental problems that we may experience as we grow old. This is why we need to visit our dentist regularly to ensure that we have healthy teeth and gums no matter what our age. At Marsfield Dental Care, we can attend to all your dental needs. Dr Mary Choo and her team can help maintain and improve your oral health through our reliable dental services, including teeth whitening, root canal and dental implants in Sydney. To help you maintain your pearly whites and restore that beautiful smile, visit us today.